A Malaysian pilgrim from Kuala Berang, Terengganu passed away on her way back from Saudi Arabia as the flight was passing through the Sri Lanka air space, forcing the flight to make an emergency landing at the Colombo International Airport. 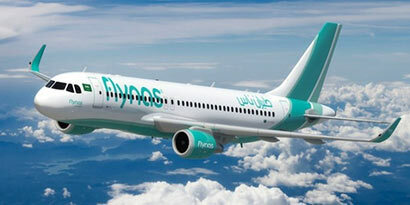 The flight (Flynas), owned by Saudi Arabia was on its way to Kuala Lumpur from Jeddah yesterday when Zaleha Salleh, 46, suffered from breathing difficulties. According to the managing director of Rayhar Travels Sdn Bhd, Harun Ahmmu, Zaleha passed away at 8am, Colombo time, due to breathing difficulties. “Following her death, the flight had to land in Colombo because it is the procedure. We have contacted the Malaysian Consulate in Colombo and the Islamic Jemaah to make the necessary arrangements until the body is flown back to Malaysia in approximately four days,” he said. The time taken to make the necessary arrangements is a long process because of the procedures that need to be followed in the respective country (in this case Sri Lanka) because as per the procedure, the flight must land at the nearest airport when there is an incidence of death on the flight. Harun said his company would handle the necessary arrangements to ensure the body is handed to the family of the deceased. He added that due to the death, 350 other passengers, including 36 pilgrims managed by Rayhar Travels Sdn Bhd arrived at the Kuala Lumpur International Airport (KLIA) about 12 hours behind schedule. The flight which was scheduled to arrive at KLIA by 10.30am yesterday arrived at 10.15pm. The pilgrims had left the country to perform their ‘Umrah’ in Saudi Arabia on June 13. Meanwhile, another Malaysian pilgrim who was onboard the flight, Rozaini Omar, 46, said he knew Zaleha because they were on the same flight to perform the ‘Umrah’ in Saudi Arabia.